An Ontario tech start-up thinks it has the foresight to succeed where giant international technology companies have stumbled. North Inc., which is a Waterloo technology firm, says it has created high-tech glasses that focus on high-fashion. An Ontario tech start-up thinks it has the foresight to succeed where giant international technology companies have stumbled. Using North Inc.'s glasses, called Focals, people will be able to interact with Amazon's digital helper, Alexa. They'll also be able to connect to their phones using Bluetooth and check various phone apps. such as the weather ... without blocking the user's view. But unlike like the clunkier models built by other tech companies, the Waterloo technology firm has created high-tech for your eyes that focuses on high-fashion, and is "hidden by design," according to North Inc.'s promotional video. Tuesday, North Inc. unveils its second showroom in the world at 113 Ossington Ave. The only other one so far is in Brooklyn, New York. The company said it picked the two markets because they are leaders in fashion design and they are technology innovation hubs. 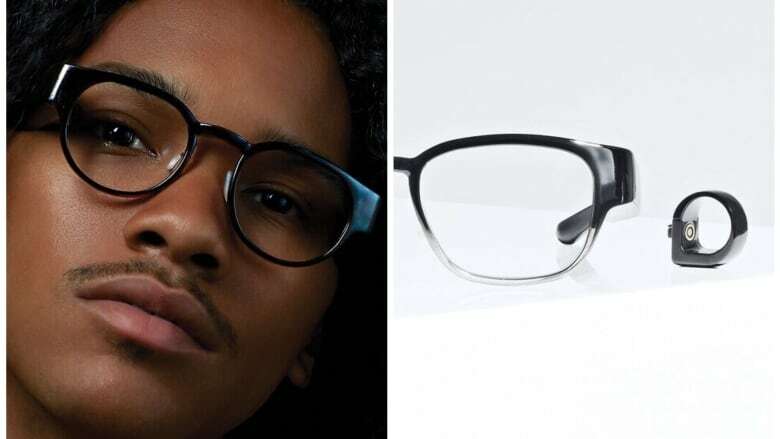 Adam Ketcheson, the company's chief marketing officer, said Focals have been designed with just as much emphasis on "aesthetics" as technology. "Whereas most of the companies that have come before us have tried to shrink all the information that's on your cell phone and essentially stick it in front of your eyes, we've really focused on trying to only give you the information that allows you to stay connected." The eyewear, which retails at roughly $1,000 USD, leverages the "magic" of technology with a hidden holographic display that projects images about an arms length in front of your eyes, Ketcheson said. The concept isn't new. Google, Intel and Samsung are among the tech giants that have tried and failed to introduce high- tech glasses into the market. Will humans ever like wearing computers on their faces? Duncan Stewart, the director of research for Technology, Media and Telecommunications with Deloitte Canada, already tested Focals and said he appreciates the "sharp" design, however he is skeptical consumers are ready for digital eyewear. "At the end of the day it's actually about human psychology. If human beings won't wear goggles of any kind because they don't like wearing computers on their faces then that's the problem," he said. "I found the process of looking [at the digital display] and talking to somebody... and shifting my focus back and forth to be an effort," said Stewart. "I suspect that there will be people who don't mind that effort or don't mind overcoming that effort, but I wonder if we want really to be constantly shifting our focus and importing information in this way." He blasted other companies' attempts at digital glasses for being too tech-focused. "The [previous] glasses were also pretty big, pretty bulky and made you look awfully geeky," Stewart said. "Consumers voted with their wallets and with their attention and said, 'We don't like these things for a whole bunch of reasons,' and that's where we are right about now." Stewart said it's no surprise a Canadian company could be poised to succeed, though, because Canada continues to be a "magnet" for homegrown and international technology companies. "Canadians are brilliant and it doesn't even vaguely surprise me that it is possible that a Canadian firm may be one of the ones working on new and interesting wearable technology," Stewart said. Isabel Pedersen, the Canada research chair in Digital Life Media and Culture at the University of Ontario Institute of Technology, said society has substantially changed since the first iterations of digital eyewear first came on the market. Now. she said, people are constantly using "wearables" — technologically-advanced gear from watches to fish-eyed cameras strapped to our foreheads. "The customer is a lot more sophisticated when it comes to the idea of wearable technology. 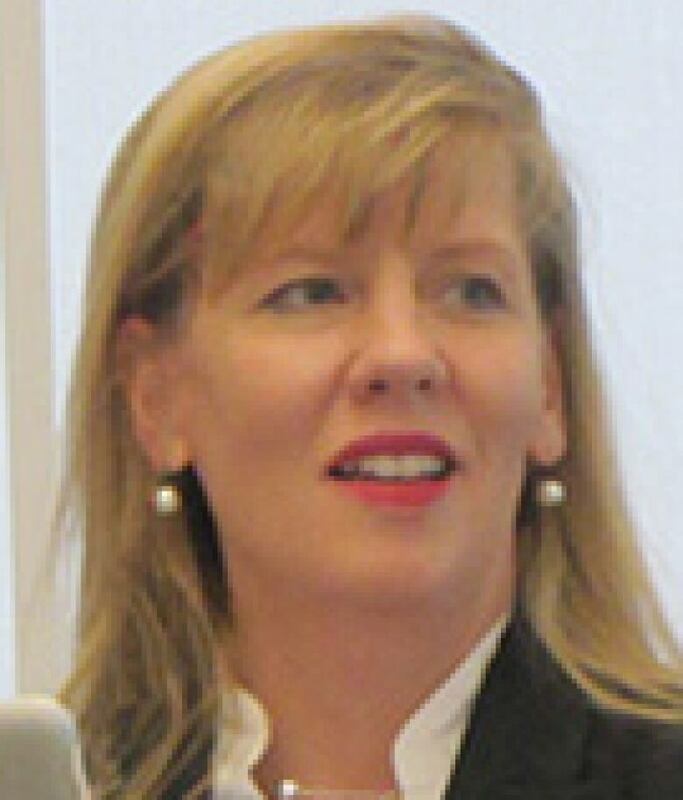 Just from what they're doing in their everyday life," said Pedersen. She also pointed out that consumers as a whole have demanded more from tech companies to protect privacy and not infringe on it. For example, the previous iterations of high-tech glasses had cameras that some consumers would have found "disturbing" the researcher said. However, Focals do not have a camera as part of the lens. 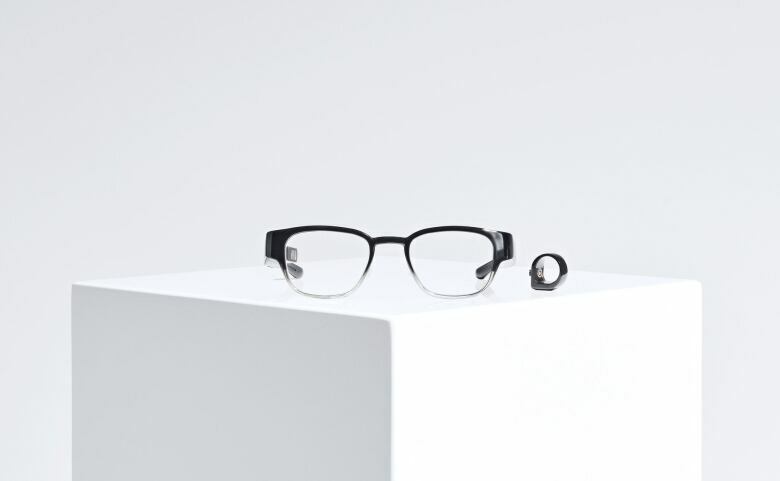 Google Glasses also seemed to be going after a niche market, whereas Focals are trying to target the mainstream and will customize the eyewear for the individual users fashion. "[Google Glasses were] sort of all bound up in techno-fetishism and the desire to get technology for technology's sake. Now we've really moved past that as citizens and users were much more interested in what technology will provide for us."